Vinyl or Download – Which Linn Player Suits You? When it comes to fashion, home décor, music, and even technology, there’s nothing wrong with a bit of retro. In fact, some of the greatest inventions of all time have helped to inspire the very products we rely on today. For example, if Alexander Graham Bell had failed to make his groundbreaking telephone call to Mr. Watson, would we ever have got to experience the joys of the latest Apple iPhone or Samsung Galaxy smart-phone? When it comes down to music and technology, we’re not suggesting you throw your Blu-rays in the bin in favour of Betamax or donate your MP3 player to the nearest charity shop in place of a 1980’s ghetto blaster. Instead, we’re asking you to consider the benefits of today’s different music formats and how each one can take on a whole new dimension when listened to on a Linn DS system or Linn turntable. The key question is vinyl or download? Which format do you prefer? Are you a traditionalist when it comes to music? Perhaps you believe that classic albums like The Beatles’ “Revolver”, Pink Floyd’s “Dark Side of the Moon”, and Jim Hendrix’s “Electric Ladyland” lose their rawness and authenticity in digital format? If so, we’re not going to argue as many people agree with you. In fact, this recent Sky News article states that record album sales are expected to hit a twenty-year high this year, with figures already up 55% on last year. The main problem with listening to vinyl is that your dusty and antiquated record player isn’t likely to showcase your LPs and EPs in their best possible light. Plus, if the needle’s prone to skipping every time someone walks past your record player or it scratches your precious records, it’s definitely time to upgrade to a superior product. This is where the Linn Majik LP12 turntable literally comes into play. It’s considered THE turntable to own, and it delivers a premium audio performance at an unbeatable price. It comes with a choice of five solid wood plinths (Walnut, Rosenut, Oak, Cherry, and Black Ash); so, you needn’t worry about it looking out of place when sat alongside your record collection. Team it with Majik 140 Loudspeakers, the Majik-I Integrated Amplifier, and the Majik Kontrol Pre-Amplifier, and you’ll be all set for the best vinyl experience of your life! Do you hate being confined to your home when you want to listen to your favourite music on full blast? Did you do a happy dance when the Discman was first released? Does the thought of Spotify going out of business fill you with dread? Then, fear not – you’re obviously a member of Team Digital – the majority of who believe digital is far superior to vinyl. If you want to develop your appreciation of music and discover as many new and upcoming bands as possible, digital is the way forward. Thanks to the likes of Groove Shark, Spotify, and iTunes, you can explore an incredible range of genres and artists, often free-of-charge. If you come across a band or style of music that you particularly like, you can get instant recommendations for similar artists and genres. Plus, your ever-growing collection will be searchable, instantaneous, and always crackle-free. Linn DS players, including Akurate, Klimax, Majik, and Sneaky, are undoubtedly THE best digital music players in the world. Simply connect your player of choice to your home network, and you’ll instantly be able to enjoy all your downloads and CDs in studio quality. Furthermore, your appreciation of internet radio will shoot off the charts. At the end of the day, whether you prefer vinyl or digital is a matter of personal taste. 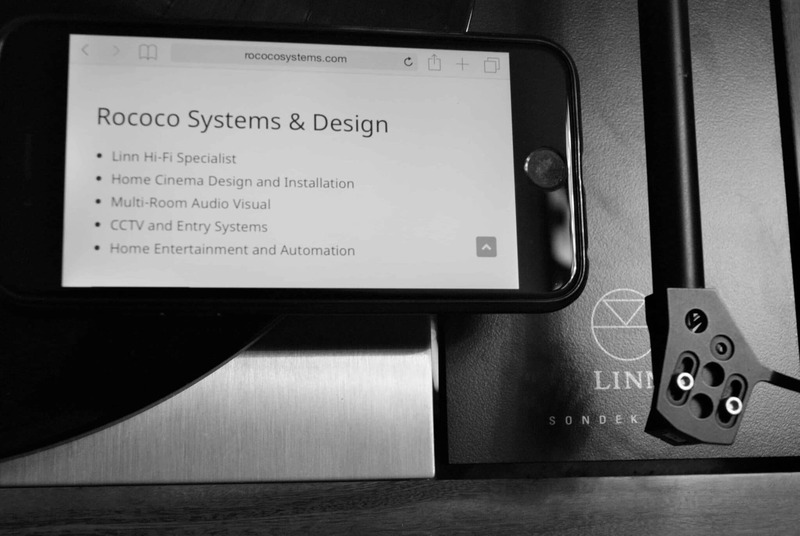 Regardless of which format you prefer, Rococo Systems can help you find the ultimate Linn system or turntable for your needs. So, make sure you drop into our London or Essex store to talk to one of our Linn specialists, telephone us, or complete our online enquiry form – you’ll find all the details on our Contact page.